Saturday night, September 24th, at the Denver FieldHouse there was a Grown Up Prom and a bunch of “Grown Ups” were having great time! 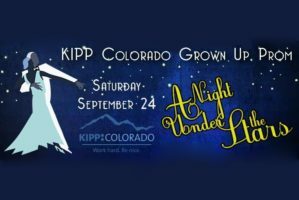 There was a silent auction and all the proceeds went to support KIPP Colorado. There was great music, great appetizers and awesome NY style pizza at the end of the night.